First stop is Stingray City sandbar. Here, you can hold and take pictures with wild Southern Stingrays. These rays are very safe, and your professional guide will show you how to handle them safely. The water at the sandbar is only 2-3 feet deep, meaning that you can stand up easily. Snorkel with dozens of different species of fish. We anchor at a specific location that has the highest density of healthy coral in Grand Cayman. You will see many types of fish and marine life, as well as different types of coral. We provide all the snorkel equipment. Our guides will explain how to snorkel if you have never snorkeled before. You can stay on the boat if you don't want to snorkel. Starfish Point is a secluded beach. Here, you can take pictures of and hold starfish that inhabit the shallow waters naturally. Starfish are found all over the Cayman Islands, but Starfish Point has an abnormally high concentration of them. The depth of the water and position of the beach are the primary reasons for the high amount of starfish found here. Here you have the option to buy lunch and drinks. Rum Point is a beach that has a restaurant, souvenir shop and restrooms. Most of our guests buy lunch here. Rum Point has been around for over 30 years, and is one of the most popular tourists spots in the Cayman Islands. Most tourists drive over an hour to reach this area, but you can visit it on our tour to save time. 1 hour and 10 minutes. Learn about the mangrove forest. We take a brief boat ride through private canals so that you can see and learn about the mangroves. Mangroves are trees that live in the sea water; they are inhabited by iguanas, birds and fish, and are an essential part of the ecosystem in the Cayman Islands. You also get to see many multi-million dollar homes that line the canals. 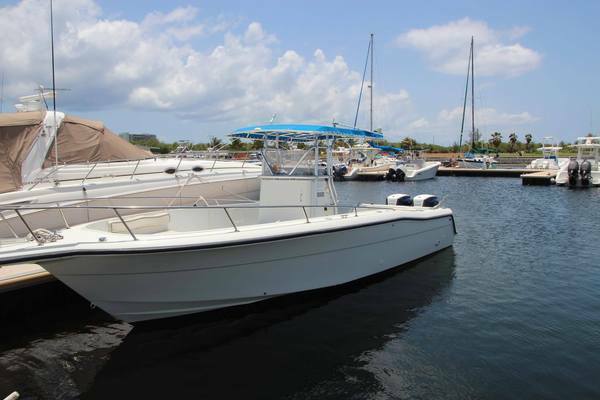 This 5-stop stingray eco tour departs from the Cayman Islands Yacht Club. This is on the west side of Grand Cayman, near Seven Mile Beach. We are only able to accommodate cruise ship guests if they do a private charter version of this tour. If you are a cruise ship tourist, and you don't want to do the private charter, then you can still complete the availability form below, and we will recommend an alternative company! Our company's 5-Stop Eco Tour is without a doubt the best Stingray City tours Cayman Islands. It is an excellent tour where you are guaranteed value for your money, superb service and an experience of a life time. This tour is one of the few tours where the number of people on each tour is capped, thus making it a more private and tailored experience. The crew are fun and friendly, therefore always keen to make your tour and holiday a pleasant experience. Our company takes pride in offering the best value for money. There is music and refreshments on the boat, which is a welcomed extra when it has been a hot day out at sea. Snorkel gear is also provided, which is very convenient if you have traveled from afar or do not own your own equipment. You can save on having to buy or hire your own equipment if you take this tour. Safety on this tour is always a priority. 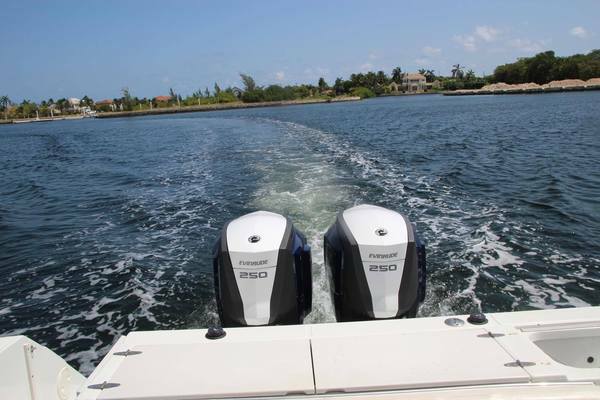 The crew is very experienced and the boat is well looked after and always clean. There are life vests included and the crew are always there to offer assistance to people who are not comfortable swimmers. There will not be a time where you worry about the safety, therefore, this tour is ideal for your family and friends. Stingray City Sandbar is a site not to be missed. There are very few places in the world where you can swim with wild stingrays safely and in their natural habitat. Historically, the fisherman used to meet there at the end of a fishing trip and feed the left overs from their catch to the wild stingrays. Eventually, the stingrays gathered and made the sand bar their home. Therefore, the sand bar is a natural meeting point of the southern stingray in Grand Cayman. The stingrays are free to leave and are not caged, thus making this a remarkable experience. On the tour you are also given the opportunity to hold, feed and take your picture with the stingrays. Our Stingray City operators act in a professional and safe way. Snorkeling at the Barrier Reef is some of the best snorkeling in Grand Cayman. Our stingray city companies have the most experience and reviews. The coral is bright and beautiful. It is rare these days to see coral in such beautiful condition. There are countless species of fish at the Barrier Reef and every day is different and you may be surprised in what you see. The spectacle of color is what draws tourists from all over the world to snorkel here. There are plenty of tropical fish like Jacks, Snappers, Sea Urchins and Conchs, plus much more to be seen at the Barrier Reef. Starfish Point is a fascinating natural phenomenon where wild starfish have gathered. There are many starfish gathered here and it is possible to see the starfish closely. 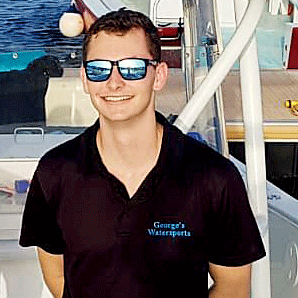 The tour guides at George’s Water Sports are fantastic in explaining how to handle the starfish because the health of the starfish is the most important thing on an eco tour. The water is shallow and you can relax with the starfish while admiring the beautiful scenery of North Sound. Rum Point is a fabulous beach restaurant and bar where you can taste authentic Caribbean cuisine as well as relax by the beach sipping a refreshing drink or cocktail. Rum Point is a perfect place to have lunch with your friends and family. There are many hammocks and areas to relax. Or if you even fancy it you can go for another swim as there is a designated swimming area. The restroom facilities and gift shop are clean and very well maintained, thus making it an ideal place to take a lunch break. The Mangrove Forest is a final must see on this 5-Stop Eco Tour. The Mangrove play an essential role in the ecosystem of Grand Cayman and is a nursery for young marine life. You will see plenty of iguanas and if you are lucky different types of birds. It is very peaceful and a great final stop because it is very interesting to learn about how special mangroves are to the environment. 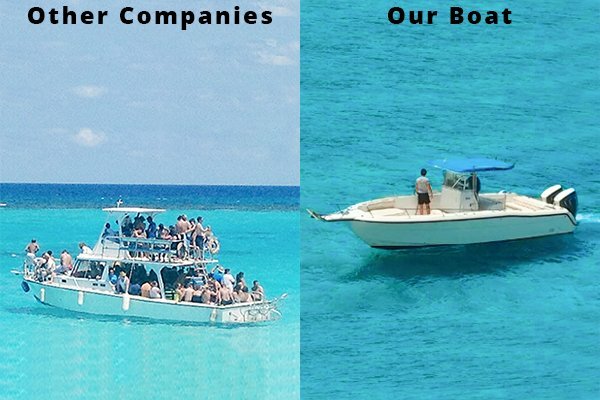 George’s Water Sports is the best tour company to use when you go on holiday to Grand Cayman. No other tour company takes more pride in providing an excellent service, prioritizing customer service and value for money. The friendly and professional attitude of the crew will make you feel relaxed throughout the tour, while educating you on the wild life which you will see. If you have questions about the local culture and other things to do on the island, the crew will be happy to answer your questions and provide you with honest recommendations. The boat is comfortable and exploring the island by boat is an exciting experience not to be missed out on.